Finally I bought my self a Dslr camera. 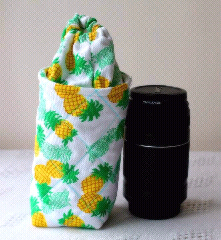 An entry level one which will be sufficient for me to learn about photography. I even created a blog for my photos. This Cushion Covers started as a mistake. 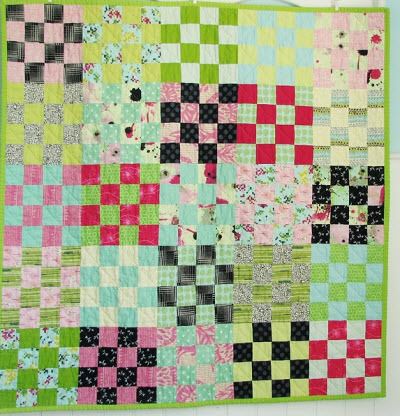 One lady wants me to make quilt for her daughter something in girly colors. So, I thought of doing 16 patch blocks like the one I saw on the web. So I cut few jelly rolls and it turned out the block is just too small for the big quilt that I plan. Luckily I only cut few pieces as trial. So, here's my monsoon cushion covers, just like one of my fellow DQ said:). I hate to throw away even a lil bit if fabric scraps. Yesterday after making one star block, there are lots of remnants from the flying geese blocks. So, here what I do. Pick up 5 or 6 triangles. Fold them and sew on the side. Turn around, poke to take out the corner as much as you can, and make a string of the new folded triangle by hand sewing it using a running stitch. One TIP: Leave around 1.5” of thread on the knot. Sew away until all 6 are strung nicely and evenly. The pull slowly and adjust the flower. Pull it tight and tie the thread nicely. Now, take out one button (I love the fabric cover button) and sew in place. At the back, take a small piece of felt, cut it round and glue in place and then attach the pin or hair pin, according to your fancy.